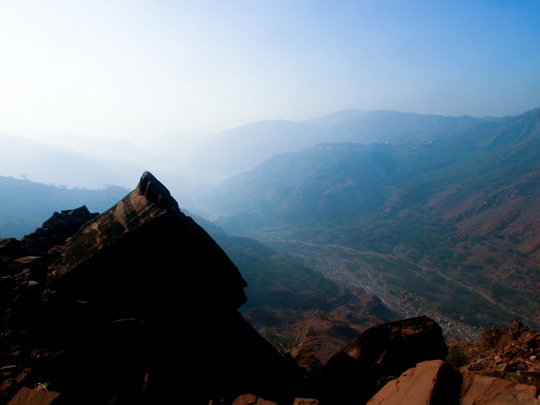 A panoramic view of the Salt Range in Khewra, the location of the Khewra Salt Mines, the second largest in the world. They are also the oldest in the Subcontinent and attract over 40,000 visitors annually. A tourist train runs inside the mines.